Benton, Maine is located on the east bank of the Kennebec River, across the three bridges from Fairfield. 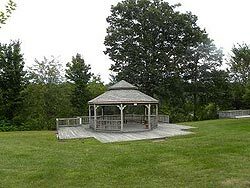 The area was first settled in 1763 and incorporated as Sebasticook on March 16, 1842. The name was changed to Benton in 1850. With a park and walking trails, Benton offers the pleasant feeling of small town closeness combined with easy access to all the benefits of the total mid-Maine community.